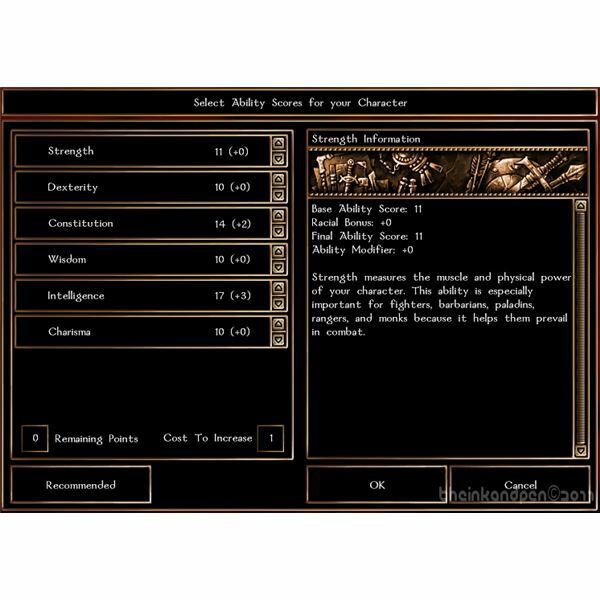 As one of the most played classes in RPG games, the Wizard or Sorcerer makes for great variation, both in combat and role-play. However, Wizards differ from Sorcerers in that they are the scholars of the realms; they learns all spells with great study, focus and discipline requiring more effort than other classes but yielding greater rewards. As one to study magic rather than rely on talent, the Magus needs patience but can acquire all possible spells – unlike a sorcerer – and either progress as a generalist or specify in a single school of magic. The primary attribute is Intelligence, which furthers the ability to prepare and cast spells. This class will run out of spells (curse of the magi); a wizard needs rest in order to replenish magic-reserves and prepare extinguished spells, here represented as magic-slots. Remember that you need to prepare your spells in advance, or allocate them to the spell-slots, then rest to be able to cast whatever you’ve chosen. As indicated in our guide on races, elves or humans make equally good mages, with elves immune to enchantments and mind-affecting spells (i.e. Fear), humans getting bonus skill-points (four at level one, one point subsequently) and both classes not penalised for multi-classing as a Wizard – as long as your human character has more levels as a Wizard than your other classes. Half-orc is a bad class to choose as a Wizard, or an interesting one, since they suffer a penalty to Intelligence. Dwarves are playable, particularly due to "Hardiness vs Spells," while halflings make interesting mages due to their immunity to fear. Choose your portrait, alignment and so on, and lastly allocate points to your attributes. You can focus solely on Intelligence and make your mage a weakling, or allocate at least ten points to unneeded attributes. In the picture you see an example of a "Constitution Wizard." If you are planning on a dual-class, consider your second class when allocating points; for instance, if planning a wizard/archer give some points to Dexterity. As a priority raise your Concentration and Spellcraft, which are class-skills as opposed to cross-class ones, the former referring to skills which fall within the class's expertise. You can also assign points to Lore or Healing, both useful skills, and a knowledgeable wizard fits with the character concept. If you so wish you can also assign points to cross-class skills, but at the main-campaign's level-cap of 20 your cross-class skill will only be half of your class ones. However, the mechanics of the game allow you to "point-dump," or save however many points you want at level-up in order to allocate them to a skill of choice (or a cross-class skill in this instance). 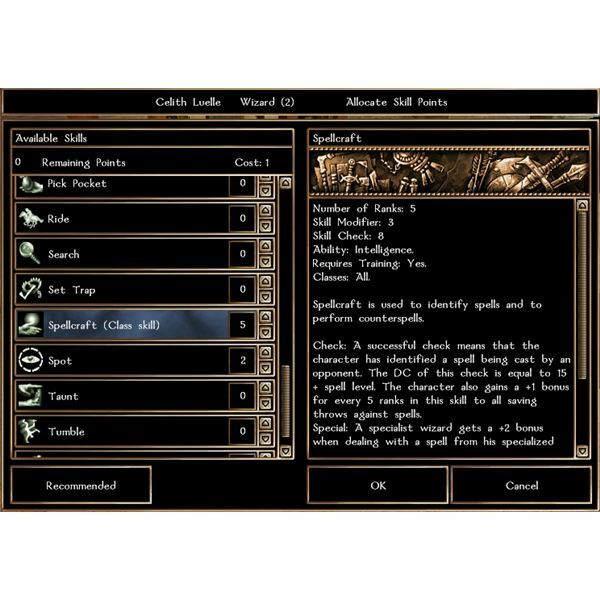 For example, as a Wizard you can dump skill-points, then obtain a single-rank of Rogue and dump all your points in lock-picking (a class-skill for a Rogue) and have an interesting type of Wizard character. It is really recommended that you spend your skill-points however, and in some servers this behaviour will result in a certain ban. 1) Protect yourself: cast Time stop, summon aid, cast Mind-Blank, use Abjuration-spells. 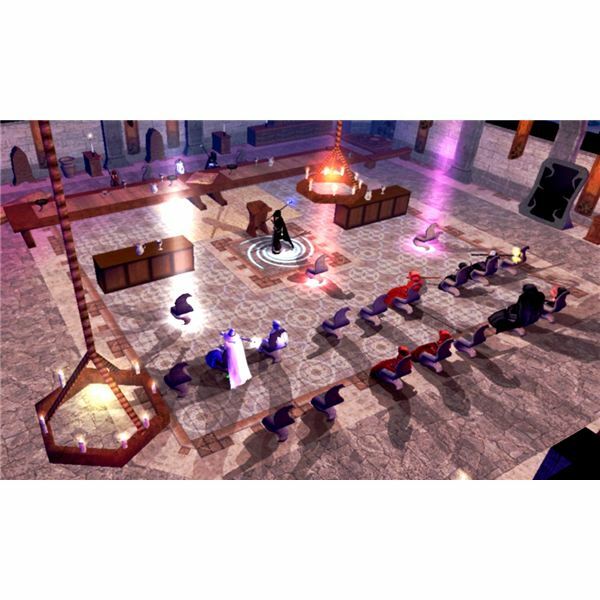 Although some of these spells are ninth-circle spells and only available to fully-levelled characters, most arent – such as sleep – and can be easily used at the beginning of the game. This strategy is useful against all enemies, particularly melee fighters; for wizard-duels you may want to consider casting Silence or something equally as crippling, and ultimately bring the fight to close-quarters with a summoned creature (you can still cast of course). This concludes the character creation series. You should now have plenty of material to build your character, and with more experience you can play a character exactly to how it suits you.